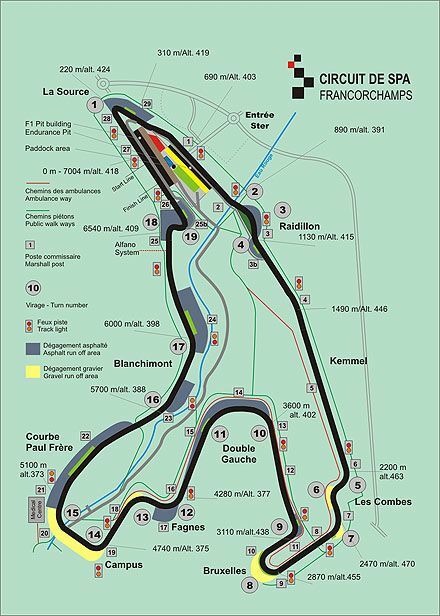 Last July, the 65th 24 Hours of Spa was raced in a beautiful Spa-Francorchamps in Belgium. 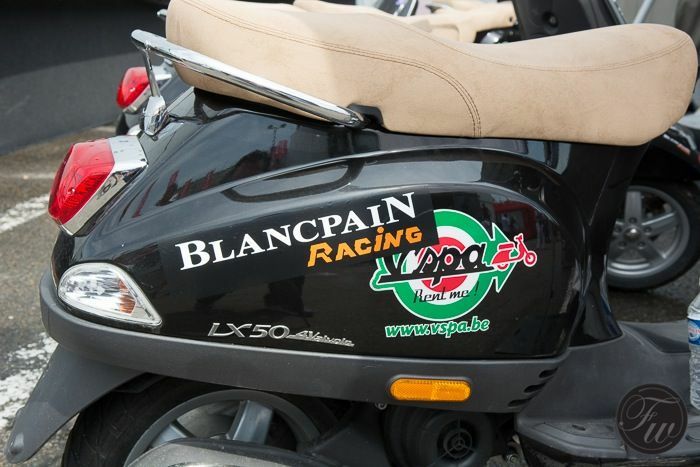 I received an invitation to join Blancpain to witness this endurance race. 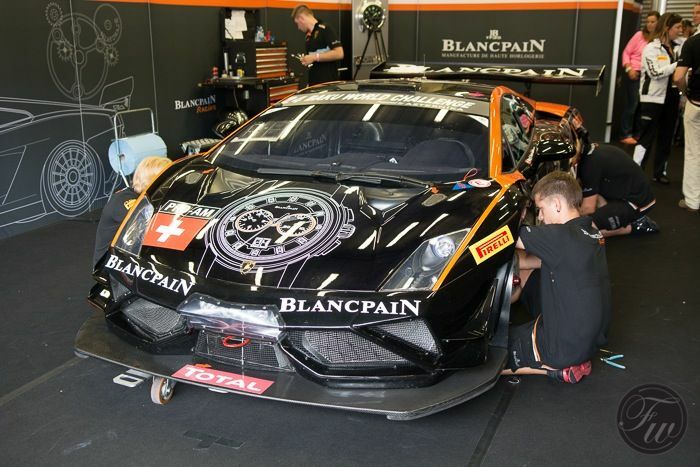 Blancpain is deeply involved – hence the sponsoring of the 24 hours of Spa – in racing and visitors of Baselworld have probably seen the Blancpain Lamborghini LP560-4 car near their booth. 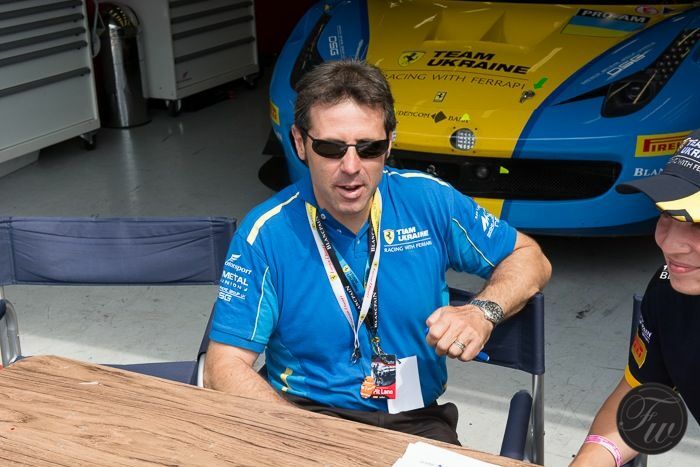 That’s right, Blancpain has their own racing team (Blancpain Racing) and their CEO Marc A. Hayek is one of the drivers. The other drivers are Peter Kox, Jos Menten and Henk Haane. All three are Dutchmen but represent the Swiss flag. 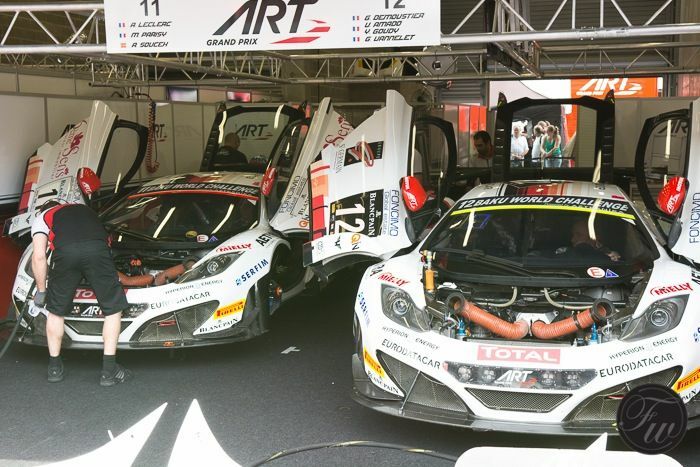 This photo essay should give you an impression of the 24 hours of Spa and its visitors and racers. Unfortunately, the Blancpain Team (heavily) crashed with their Lamborghini LP560-4 with driver Jos Menten behind the steering wheel. 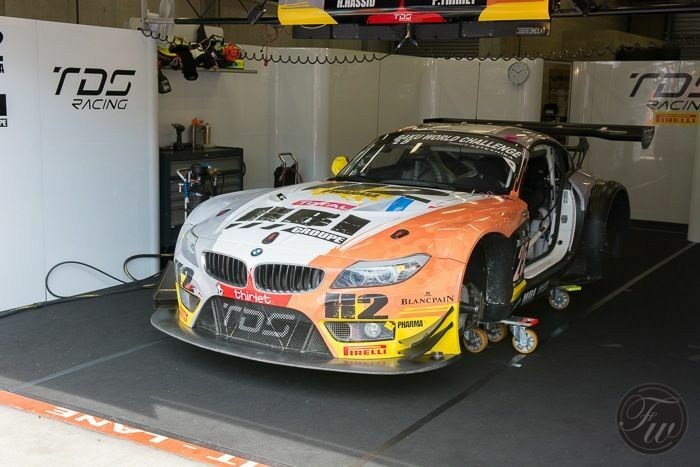 The car was heavily damaged and the Blancpain Team had no other option then to quit the race. Better luck next time. 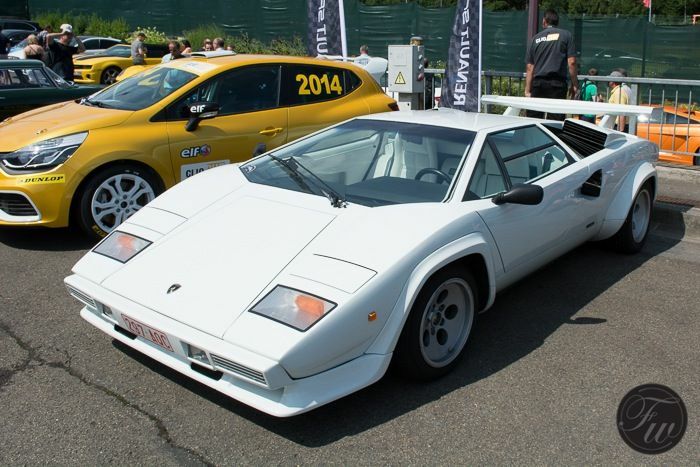 The 1000 KM at the Nürburgring in Germany on the 21st and 22nd of September 2013. Click here for their season calendar. 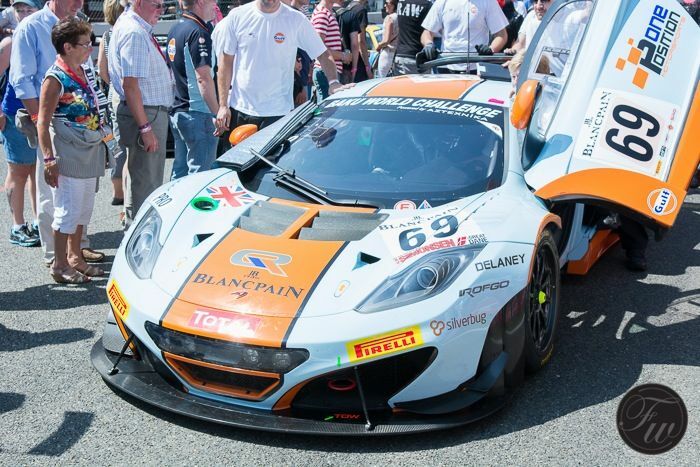 The Blancpain Team for the 24 hours of Spa – Blancpain Endurance Series. 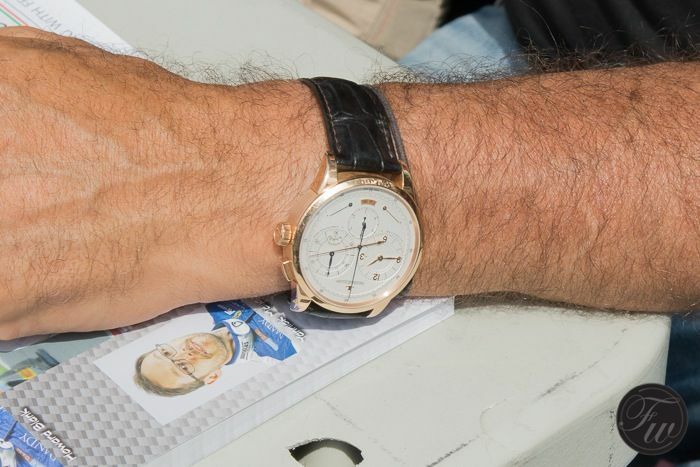 3 Dutch men and 1 Swiss guy, which happens to be the Blancpain CEO. 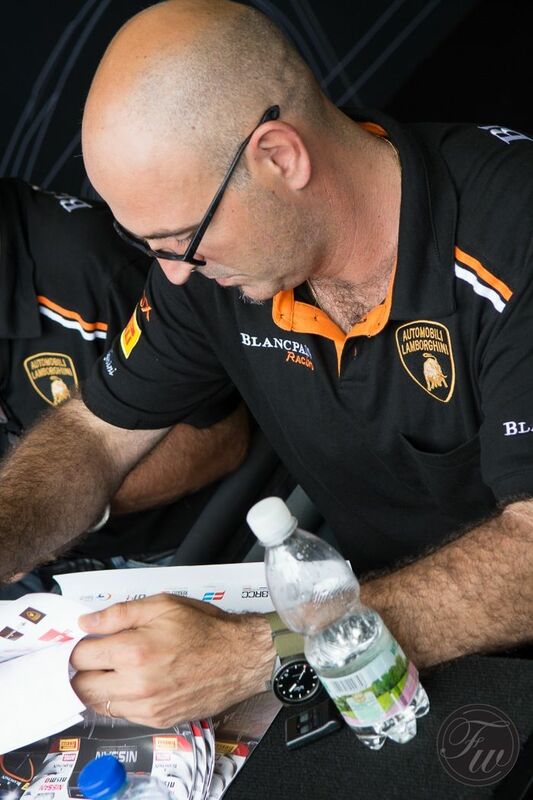 We got to see a look inside the pitbox of Blancpain’s Team and witness the mechanics at work. 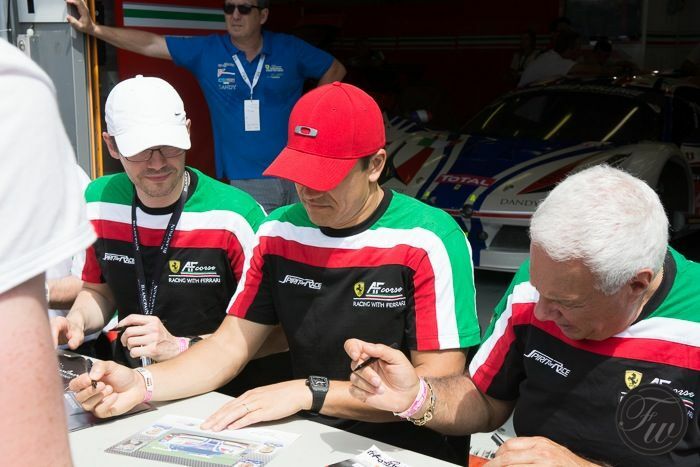 Marc A. Hayek and his co-pilots signing photos for race fans. 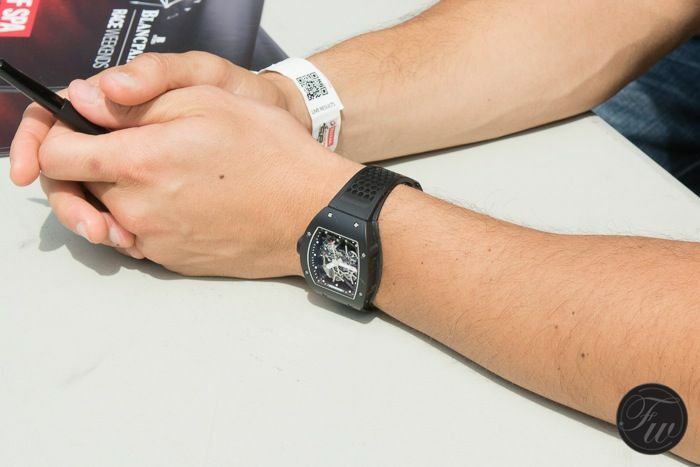 Hayek is wearing the newly introduced Blancpain Bathyscaphe. The pit boxes were a popular destination for the lucky ones who had a permission to enter. 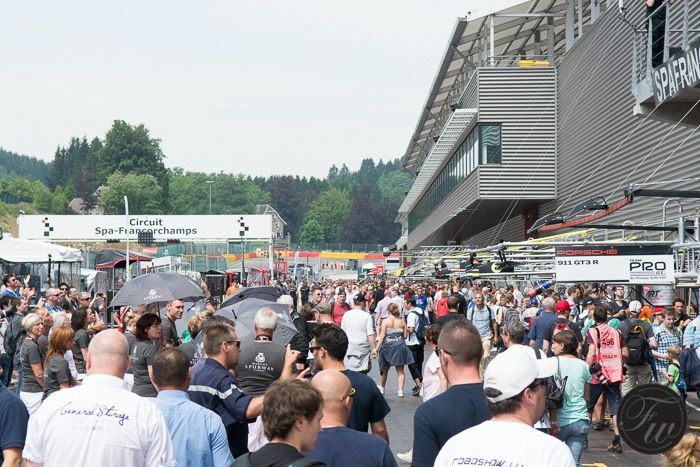 Those few hundred meters are packed with people getting in touch with the race drivers, observing the mechanics and admire the racing cars. Oh, and girls. Luckily I am quite tall. Regular readers know my slight preference for BMW cars, so yes, my heart ticked a bit faster when seeing (and especially hearing) these heavily modified Z4 cars. 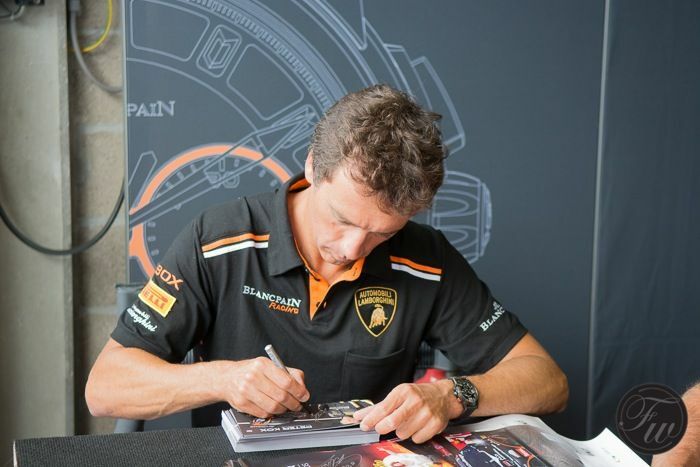 …and their love for watches. 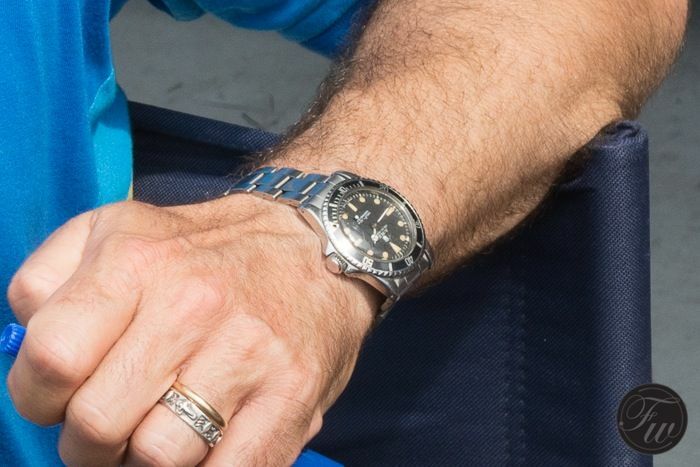 …but I only wanted to capture his vintage Rolex Submariner. 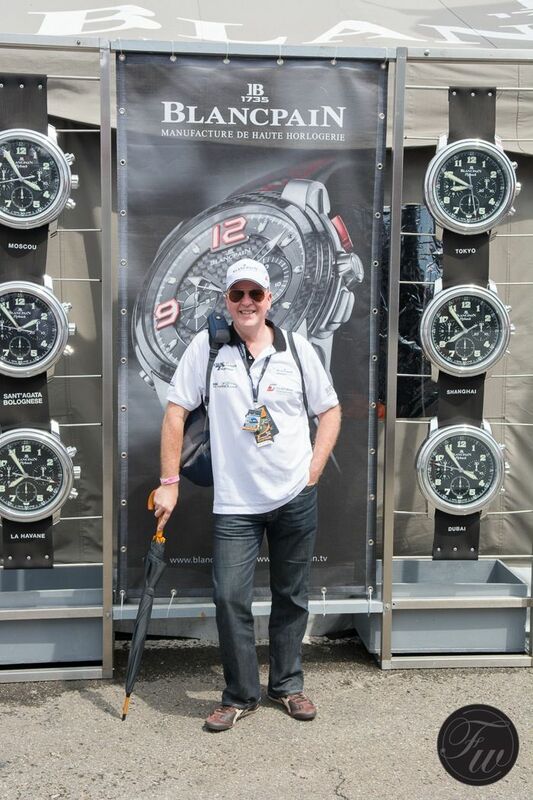 Blancpain watches were also represented! 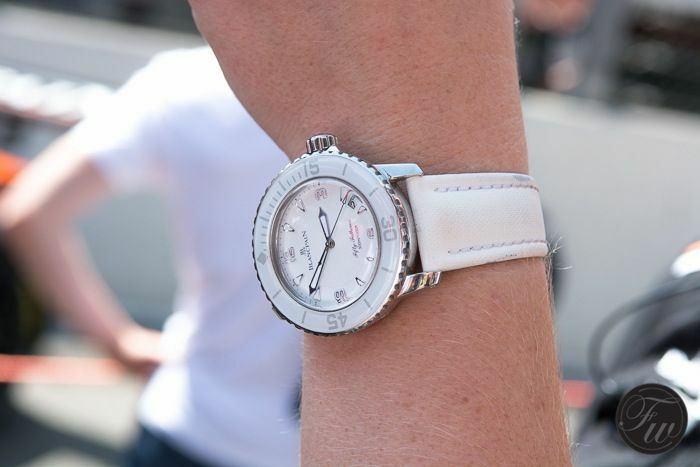 I love these white sporty watches on women’s wrists. Blancpain had a wonderful facility for their guests featuring marvellous drinks and snacks. The catering was really outstanding. Outside, they had a number of these Blancpain clocks. As always, Bernard Werk of Watching magazine was also there. 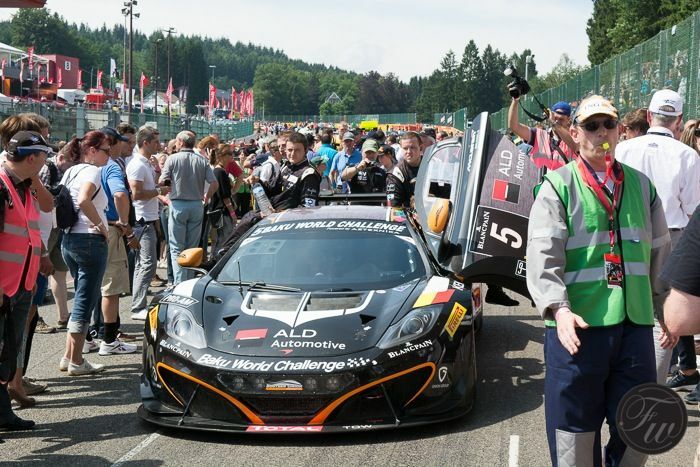 Another interesting trip was the gridwalk, just before the race, a number of people are invited to join the teams on the grid. 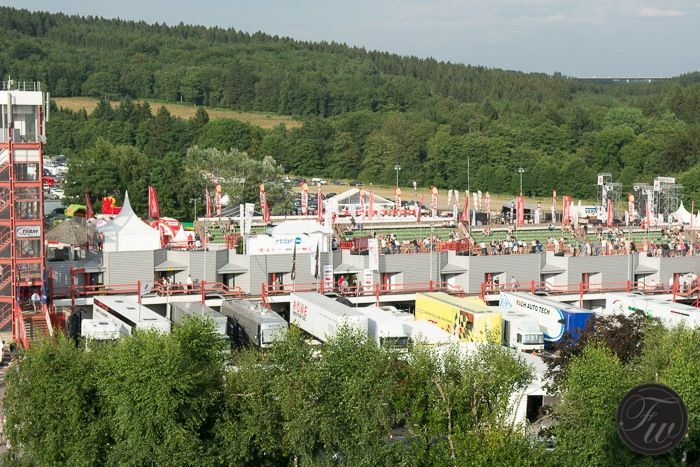 It was quite crowded, but at least it gave an impression how the teams are preparing for the start of the race. 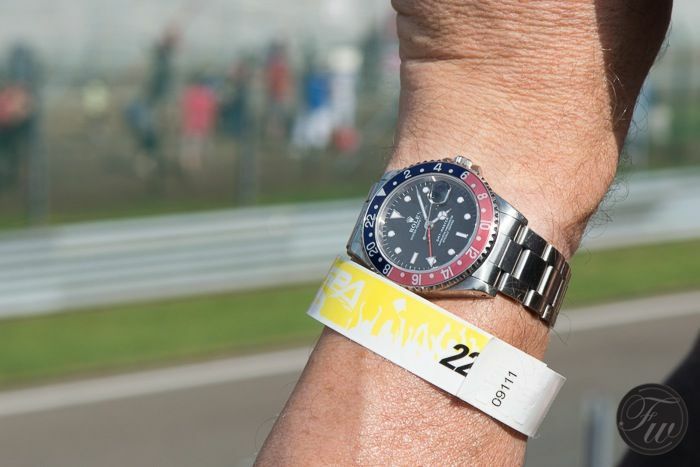 Also spotted a nice Rolex GMT-Master 16700 there.. Girls in cheap-fabric looking black dresses and high heels with approx 30 degrees Celsius and still smiling. After the teams prepared and positioned, the race was ON. The noise was just unbelievable. To get an impression, follow us on Instagram (@fratellowatches) and see the video of the start. 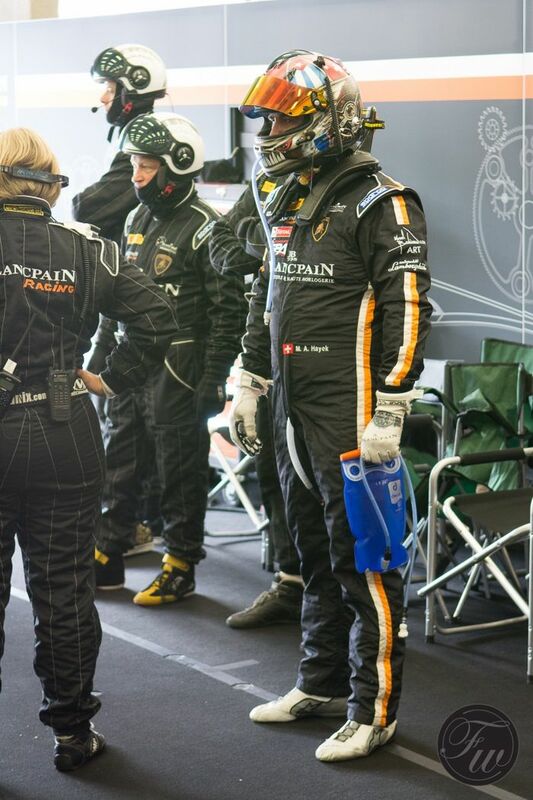 All prepared and ready to go… but unfortunately the race ended before Marc A. Hayek could demonstrate his racing skills. 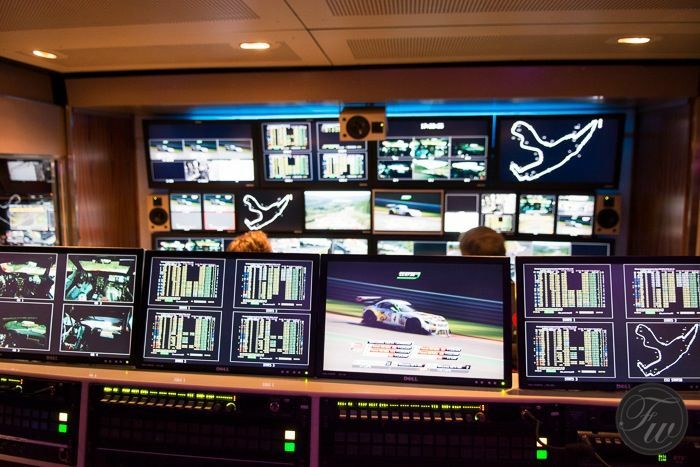 We also got to see the TV-room, where all the footage is being collected, analysed and processed for TV channels who are airing the 24 hours of Spa. I learnt that at night, they don’t collect footage due to budget reasons. They stop in the evening and just continue again in the morning. So important crashes or take overs that occurred during the night do not make it to your TV. 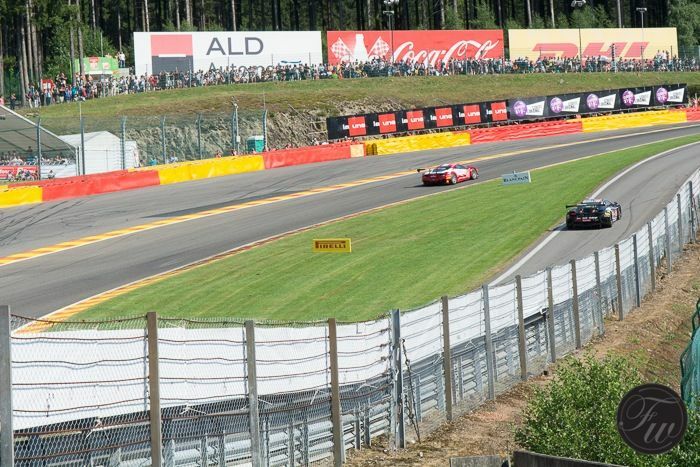 In the meanwhile, the race was on and it was very impressive to see and hear all the cars coming by. Witness the changes, stops and beautiful Spa scenery. 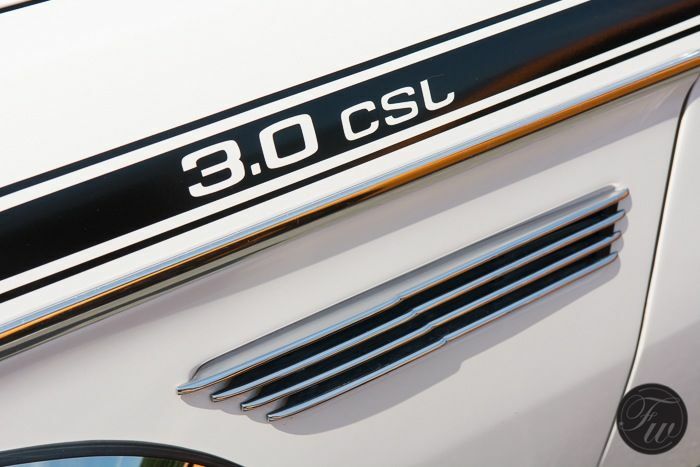 Near the hospitalities of the racing teams, there was enough to witness as a car enthusiast. 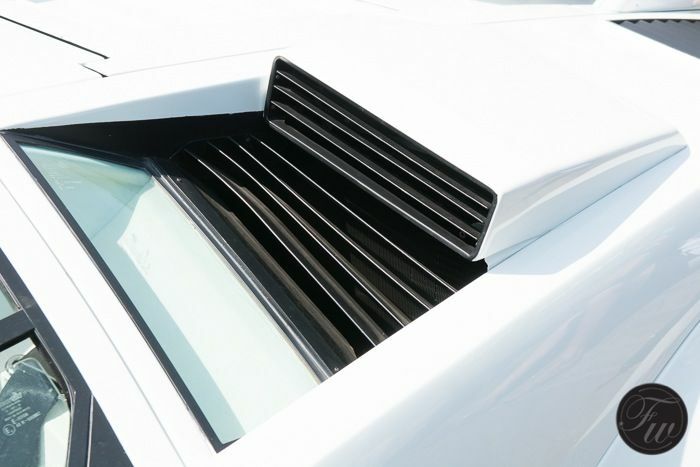 Just a few flicks to give you an impression (of my own fine taste in cars as well that is :)). 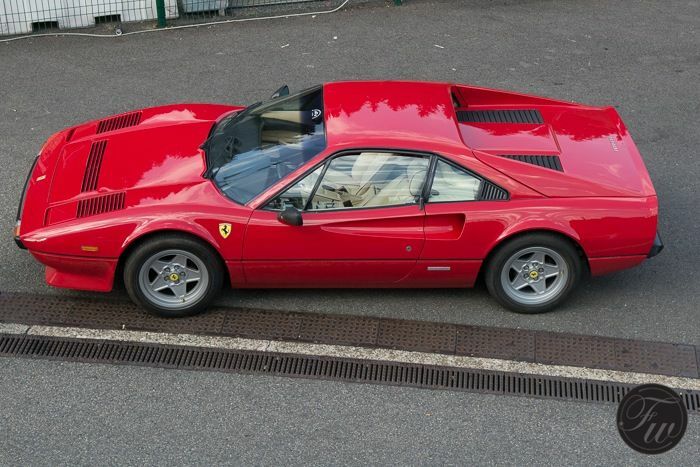 How about this beautifully restored Ferrari 308GTB? 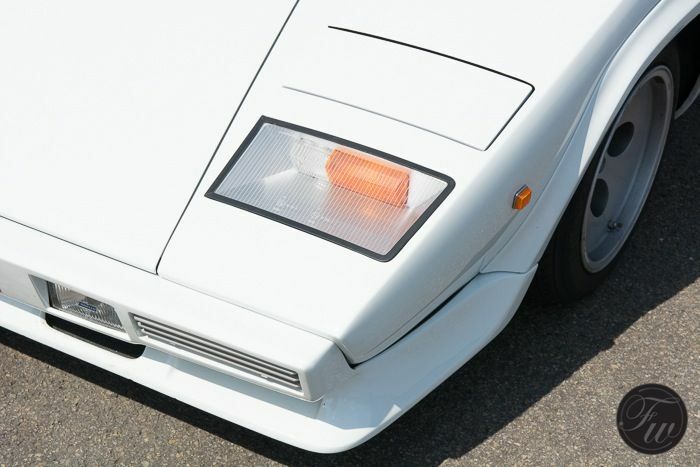 Or the magnificent – but very uncomfortable – Lamborghini Countach? 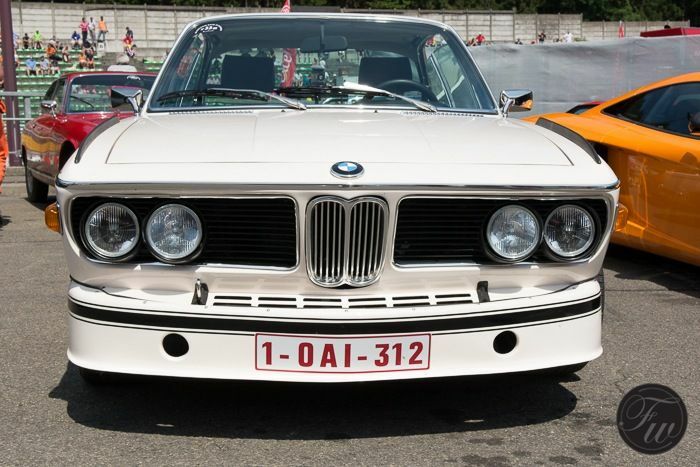 On of my favourite vintage BMWs, the 3.0 CSL. 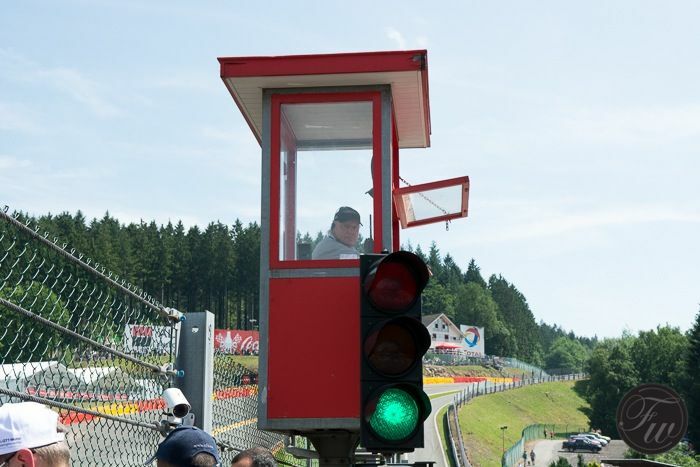 Hope you enjoyed the photo report of my day at the tracks in Spa. A big thank you to Sharon @ Mooi PR for hosting & organizing my stay.